Last minute.com - Pimm's Paddles & Pith Helmets! Thread: Last minute.com - Pimm's Paddles & Pith Helmets! 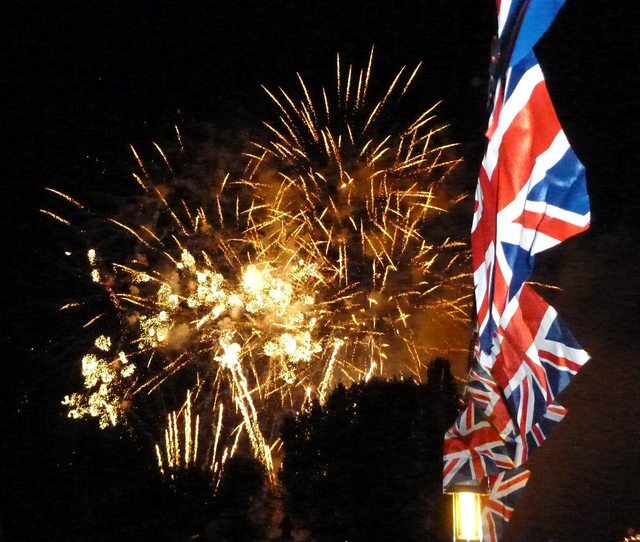 Henley Festival - Night Paddle - Saturday 9th July 2016 - Yes, this Saturday! It makes for good evening! If you're interested, then meet at Aston slipway. Which can be found some 900m north of Remenham Hill off of the A4130, 1 km to the East of Henley On Thames. Signposted for Aston and the Flowerpot Pub. Drive on down past the pub until your ashtrays are full of river water, and then you're there! Get there early, and be ready to paddle off by 5pm. Leaving vehicles at our own risk at the slipway and heading upstream through Hambledon lock to the festival area/ floating stage/ Angel on the Bridge public house for re-sustenance purposes! Prior then to taking in a evenings entertainment afloat performed by the classical trio Blake, with special guest Dame Shirley Bassey and the BBC Concert Orchestra 'knockin' it out' from the floating stage. Along with all manner of other visual entertainment and intrigue that can only be had by/ accessed by canoe...whilst of course dodging the usual gin palaces and other classic Thames craft that evening- Best to bring a camera! Apres fireworks, there's an option then of an overnight stop 'under the stars' nearby utilising individual tarps, swags or small tents (unfortunately no trees for hammocks) If planning to stop overnight be sure to have £7 -£10 ready to pay the man in the morning. If not planning to stop over that night and return to the slipway, the lock is open until midnight that night. But best to confirm this during the paddle upstream to avoid any tears! If planning to stop overnight you will need all your creature comforts, along with your fireboxes/ a means by which to crucify decent food and large amounts of Black Pudding and Bacon, as 'tis the custom in these here parts! My apologies for such short notice - as chaos these days is just the norm! It's too late to reply by postcard! Fran and I did this trip in 2014 and it was a great night out, and it was just as badly planned as this one! OK, juggling done, definitely up for this. Will bring small tarp for encampment and sleep under that. 3 hours more notice and I could have joined you, the Pith helmet can stay in it's box well until next time. Helmet acquired, see you there. I shall attempt to join the foray, possibly late. Tomorrow I am joining a select bunch paddling a 'cruise' to mark the re-opening of the waterways around the Olympic Park in East London. "Message fresh in from the front Sir! " Seems to be a bit of problem picking up the sliced Dill Pickles at the mo, but nothing that we haven't overcome before. May have to parachute in a jar or two if push comes to shove. As far as I can see, I think our man on the ground has it all under control, and the mission is now a go situation! Henley's a bit scary for me, Mark, and besides I had an appointment with the bowels of Bass Rock yesterday. But I've seen the advance pics of this one, and you all look great! Many thanks to Mark for organising this and letting me go with them at the last moment despite being incorrectly attired - must have a word with the stores wallah (or ebay) and do better next time. Loved the roast beef freshly carved at the riverside. Not sure whether we got any photos of climbing the fence to get to the pub. Going over the wall is something any British trooper should be ready to attempt.